I am sure you will be surprised by the wonderful aroma of this dish. When you cook cauliflower your house does not smell good and you need to aerate the flat. This dish is different. 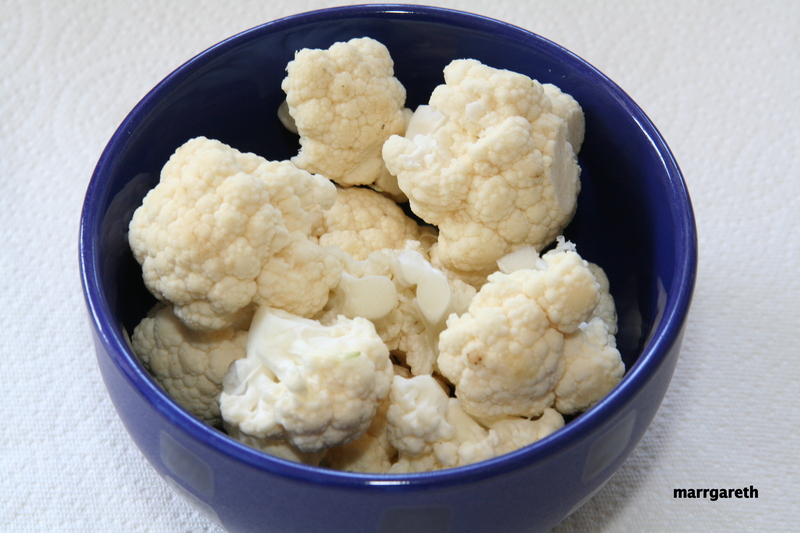 The smell of the spices completely eliminates unpleasant cauliflower’s odor. I know people who are not fond of cauliflower but when I make Indian Cauliflower they ask for more. This dish does not contain milk or eggs. This dish is aromatic and healthy. It takes just 20 minutes to prepare this dish. We need to prepare all the necessary ingredients in advance. When cooking you will not have time to do that. You need to keep all prepared ingredients close to the oven where you will be cooking this dish. So slice the onion, place spices from position 6 to 8 into one plate, crush the garlic. 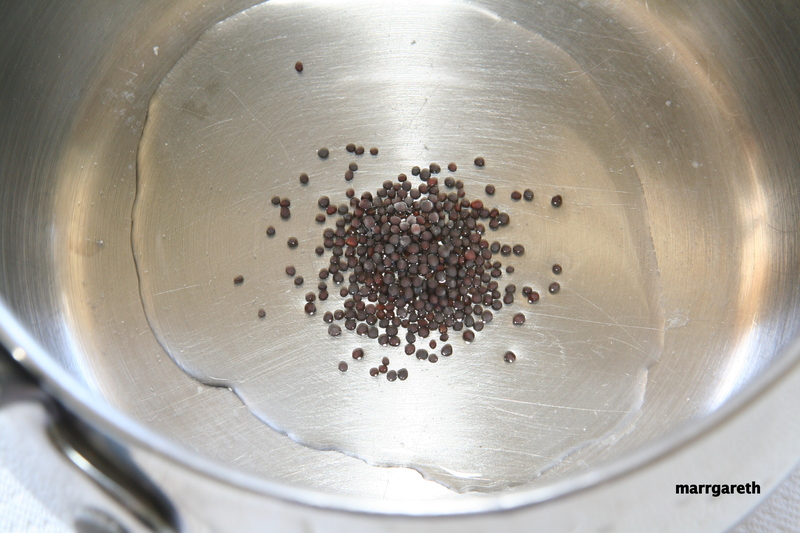 Heat the oil and mustard seeds in a small, deep pot (big enough to fit all cauliflower). Cook the seeds until they start to pop, it will take no more than one minute, do not cook them too long because they will be bitter. Add the crushed garlic and cook for 20 second stirring, add the spices mixture and mix for 10 seconds. Add the onion, stir again. Try to make all those steps without delay, because any delay can make your cauliflower bitter. Cook onion for 2 -3 minutes, stirring. Add the cauliflower, water and salt. 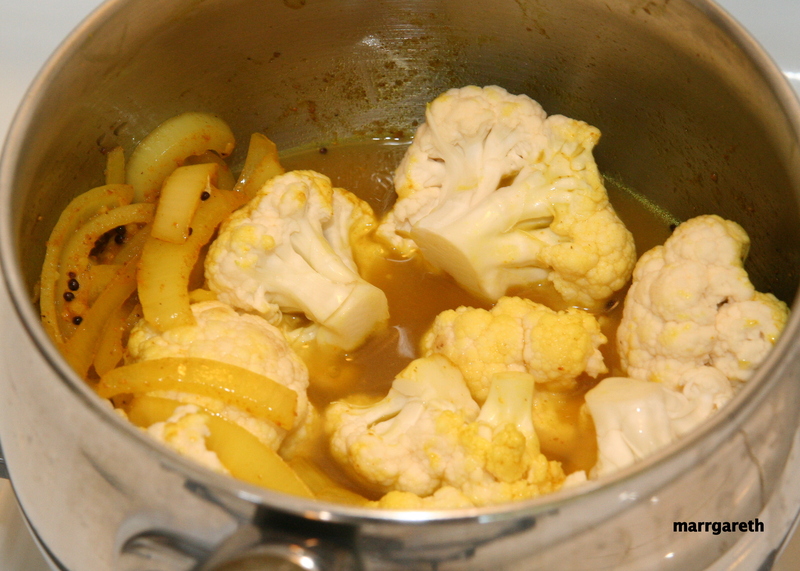 Simmer this dish for 15 minutes, or until the cauliflower is tender. At the end of the cooking garnish the dish with salt and pepper. 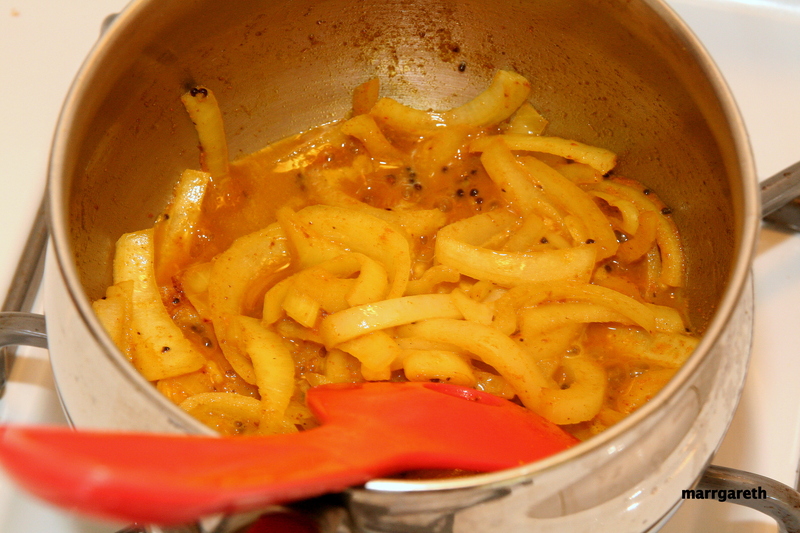 If there is too much juices you can uncover the dish for the last minute of cooking so the juices will thicken. 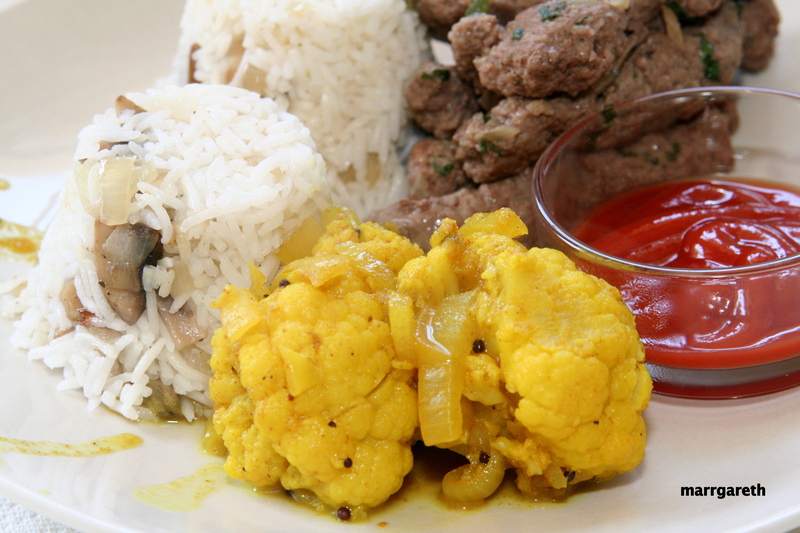 You can serve Indian cauliflower with rice with mushrooms and meat sticks. Enjoy! Sounds delicious and love the color on the cauli! 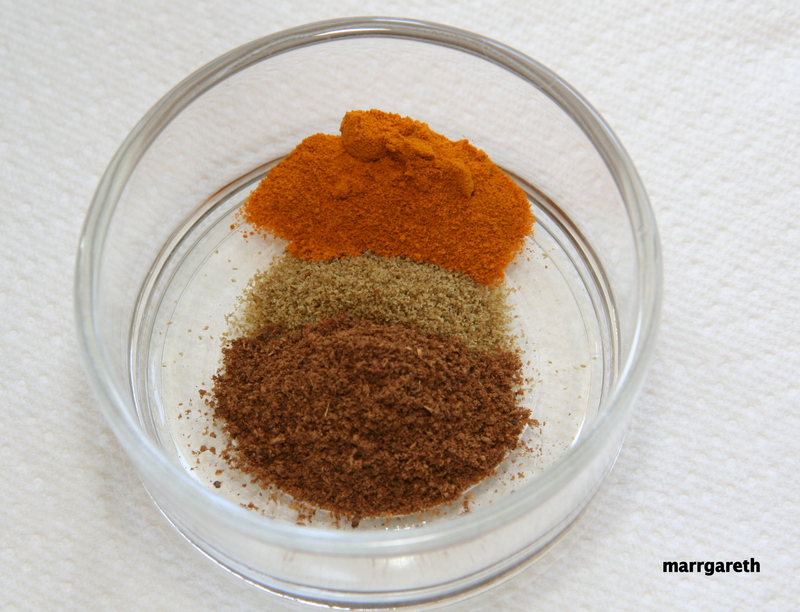 ohh looks delicious and healthy – will try this out! looks yummy! this is to let you know i have given you a Versatile Blogger Award. 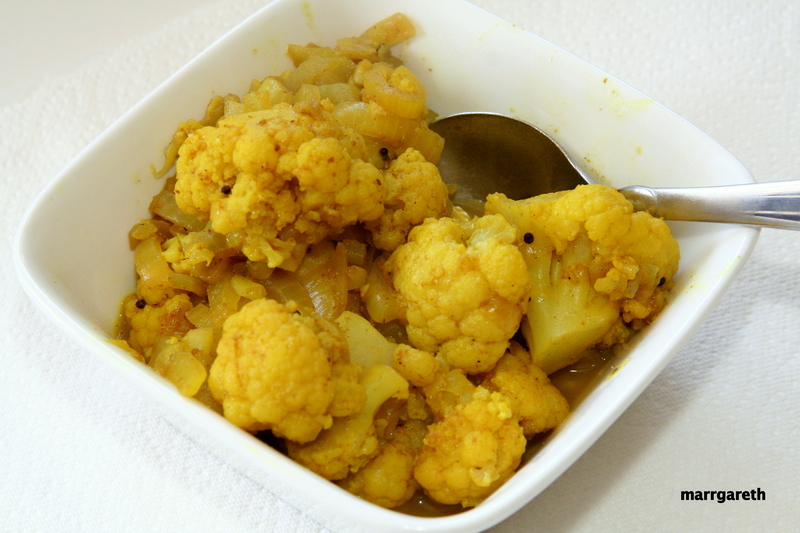 I love cauliflower and have been trying to use more turmeric in my cooking since reading all of it’s awesome health promoters. I will definitely try this! I hope you will like this as much as we do. Reblogged this on Jeffrey Watson Summary.